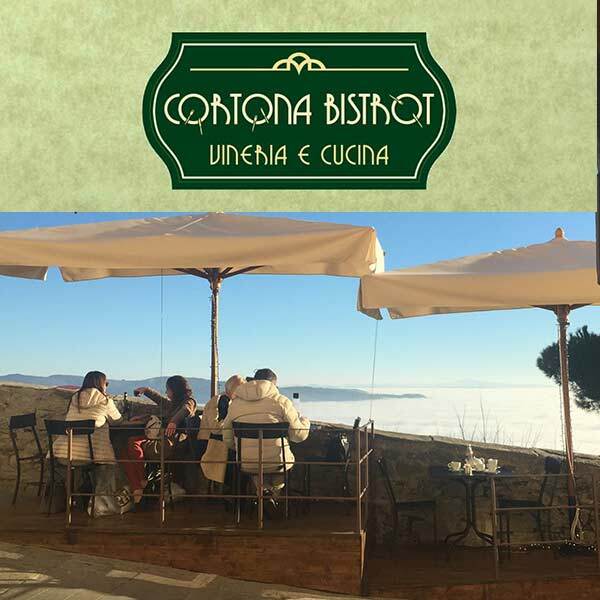 Cortona is not only visited for its history and beauty, is also good retreat to satisfy your culinary sins. Indeed, are many the restaurants inside the ancient walls. 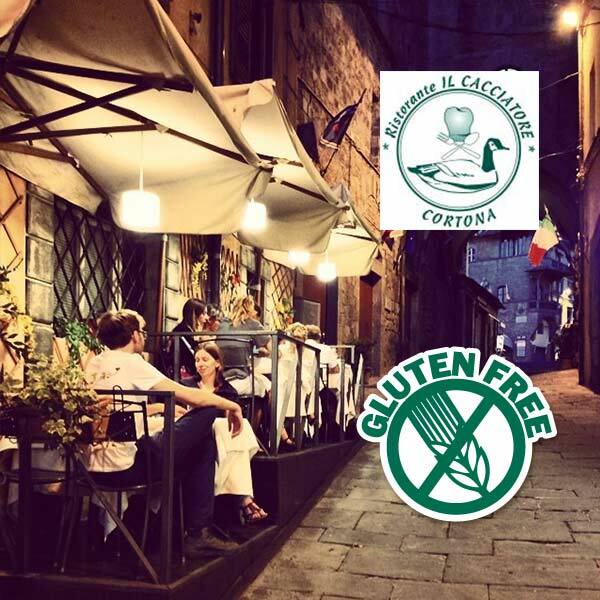 Cortona Mia have listed all the restaurants present and their specialties, the average cost and the referring TripAdvisor link. 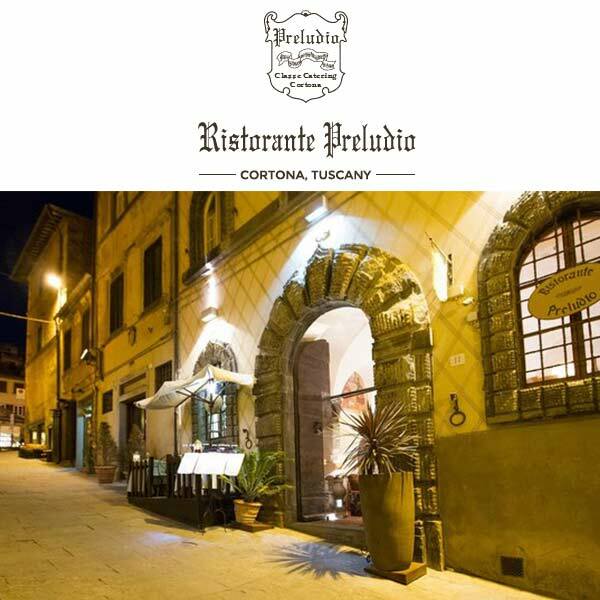 Our restaurant trattoria in Cortona allows you to enjoy tasty and sought Cortona cooking in a unique setting: a ‘500 building totally renovated and restored to original splendor. 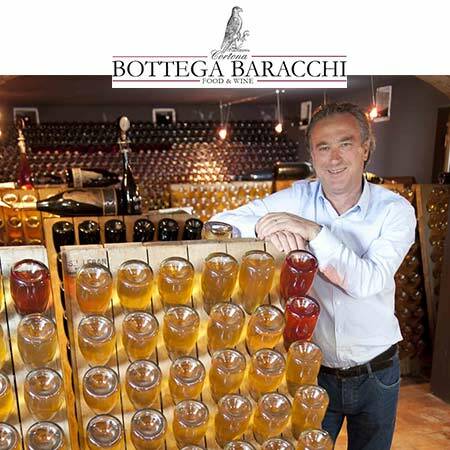 La Bottega Baracchi is a real concept shop, halfway between the restaurant, wine bar and shop that puts forward all research of Tuscan excellences. From breakfast to the quick lunch, going for a drink at the bar or a delicious dinner. 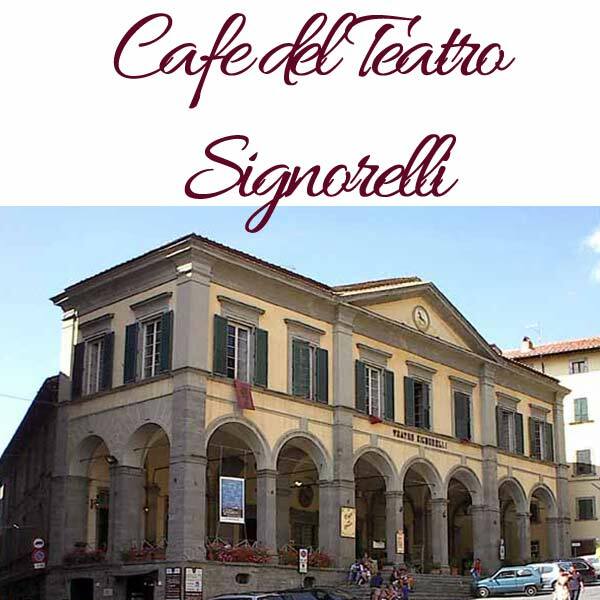 Situated in an old mansion from 1200 embellished with a medieval balcony overlooking Piazza della Repubblica. Marco and Lara welcome you in an intimate and refined environment for you to enjoy the Tuscan traditional dishes revisited with imagination and accompanied by a wide selection of mostly Tuscan wines. 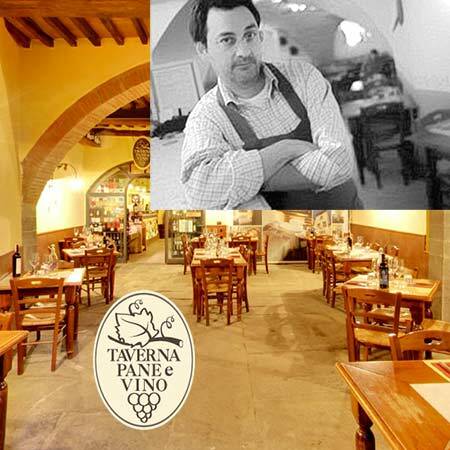 The Taverna is characterized by natural and simple food and gives particular attention to the quality of ingredients. Our wine list includes over 950 different labels. 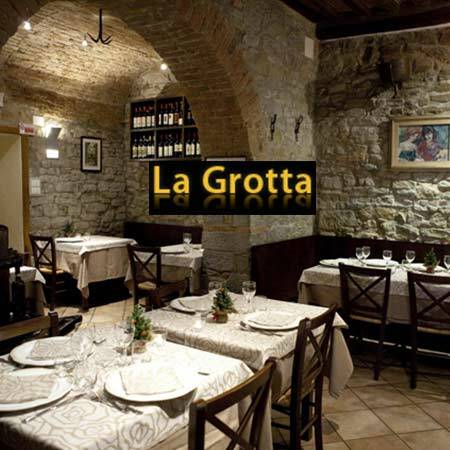 The Trattoria la Grotta is located in the historic centre of Cortona,only 20 meters away from Piazza Della Repubblica, the heart of the town. 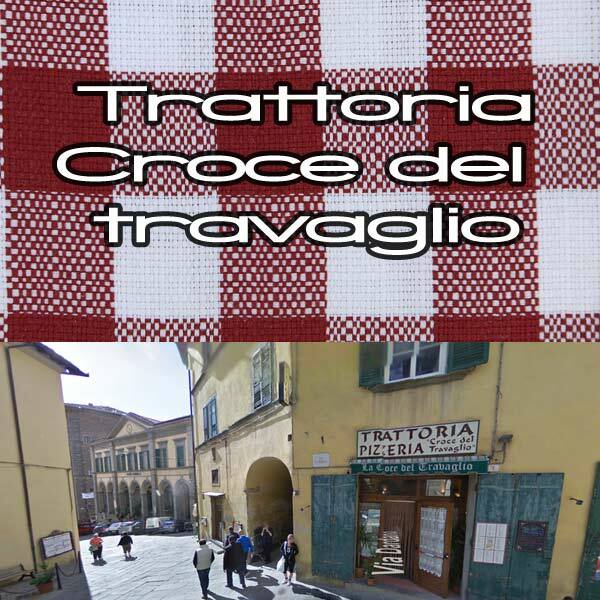 When the weather is worm,clients can enjoy eating in the small square just outside the trattoria. 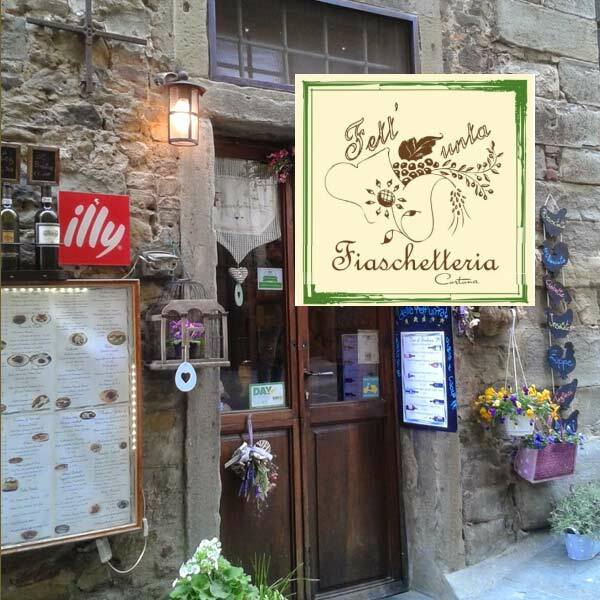 The Trattoria is well known in the area for its fresh homemade pasta, chianina steak and tagliata with rosemary and green pepper corn (all the meat is freshly bought each day from our reliable butcher). Specialties: homemade desserts such as zuccotto toscano,semifreddo all’amaretto and the delicious lemon cake. 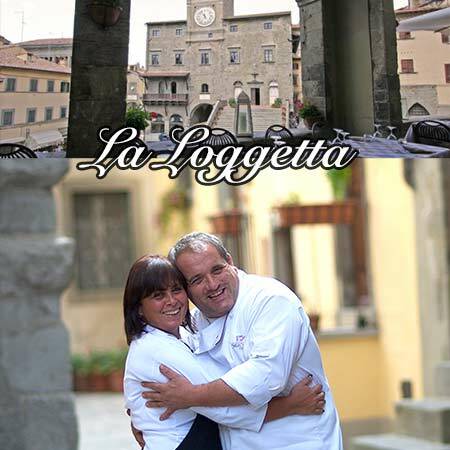 With its unique atmosphere, the precious raw materials, the love for cooking and welcoming, Nessun Dorma and is your perfect place in the beautiful Cortona. 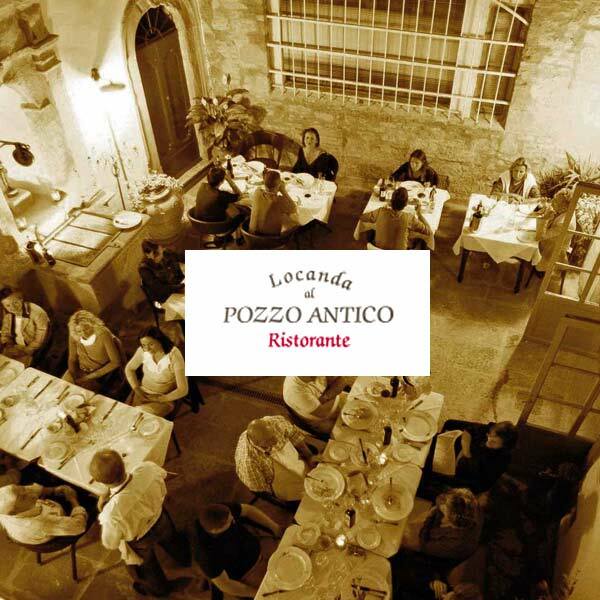 The restaurant Locanda al Pozzo Antico (Ancient Well), situeted at ground floor of the important building of 1400 in the center of the medieval town, a short walk from Piazza del Comune, in its warm and refined atmosphere, offers typical Tuscan high quality dishes, fresh and season menu with handmade pasta, certified locally meat and fresh fish combined with the best labels of local and national wines. 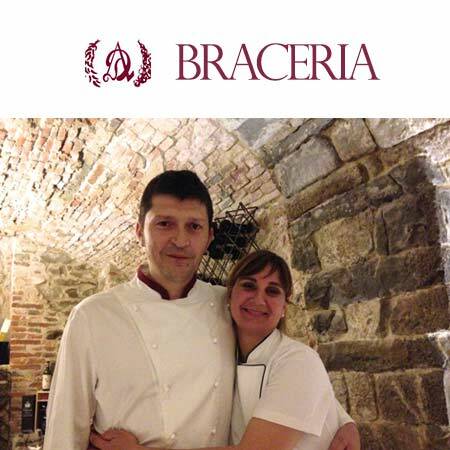 Located on the basement of a ancien building where once were the cellars AD Braceria serves fine Tuscan dishes. Specialties Chianina steak, fresh seafood. 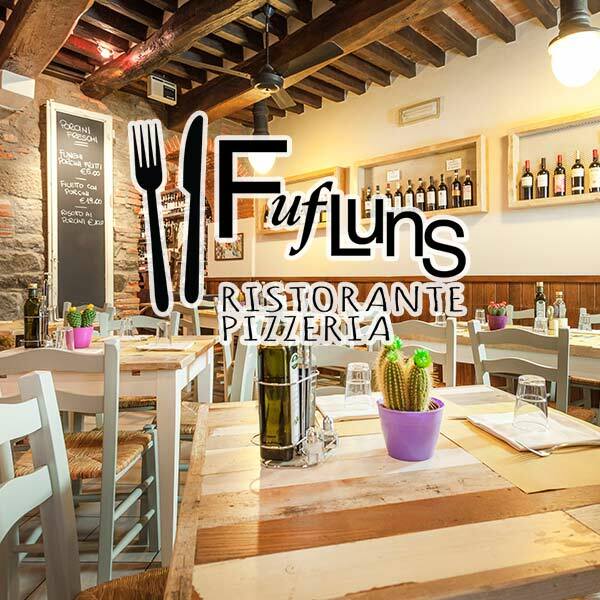 With it’s warm and rustic atmosphere Fufluns produces an authentic variety of Tuscan dishes, offering a well balanced menu which includes pastas, meats and pizzas with kamut flour (If require). 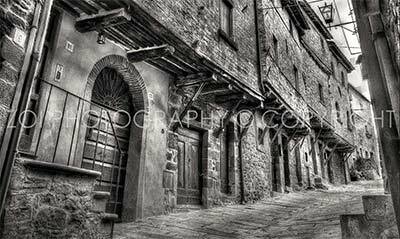 We are in the old town of Cortona, a short walk from Piazza della Repubblica. 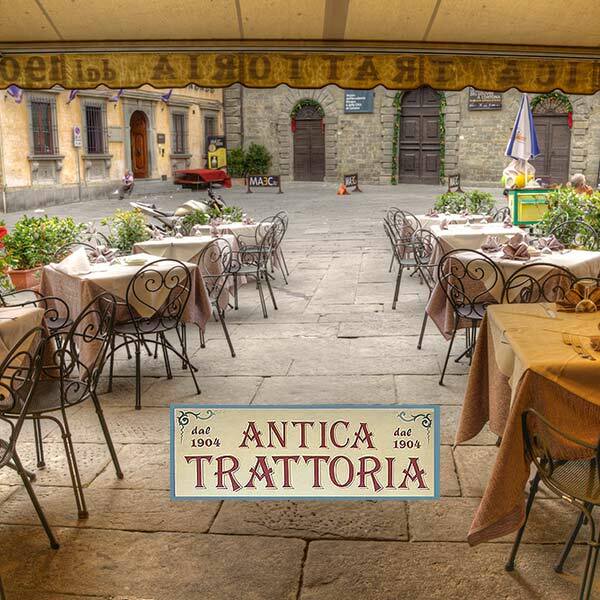 Immersed in the beautiful scenery of the old town of Cortona, la Fett’Unta is a reference point for lovers of typical Tuscan products. At the venue you can sample fine Tuscan wines paired with delicious cold cuts and cheeses carefully selected and prepared by chef Emiliano Rossi, or with simple bruschetta. Our kitchen serves traditional Tuscan cuisine and our specialties are the Chianina, grilled meat, ribollita and pici with meat sauce. 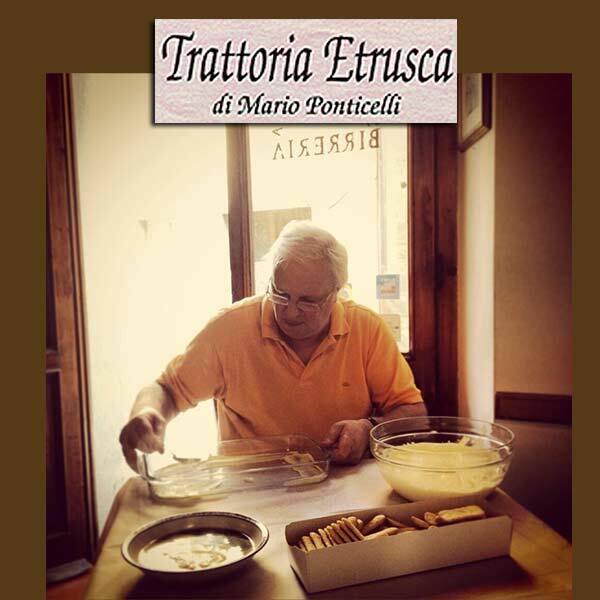 L’antica trattoria is a typical Tuscan trattoria, with a simple and tasty cuisine. 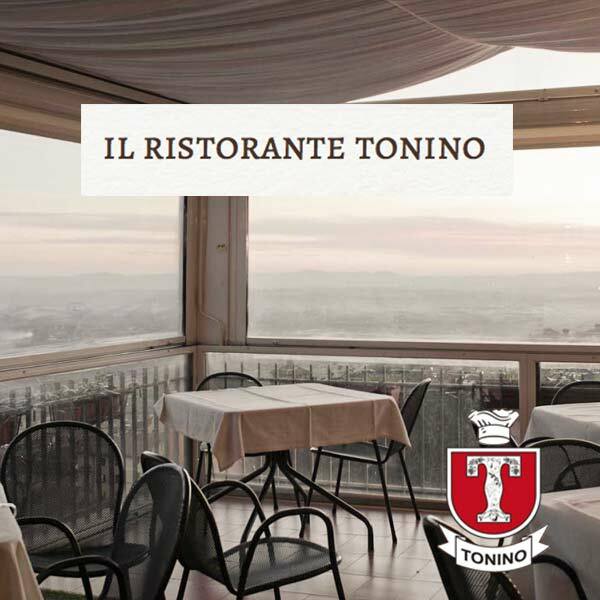 The restaurant serves traditional Tuscan cuisine with a varied Specialty: Main courses, fine dining. 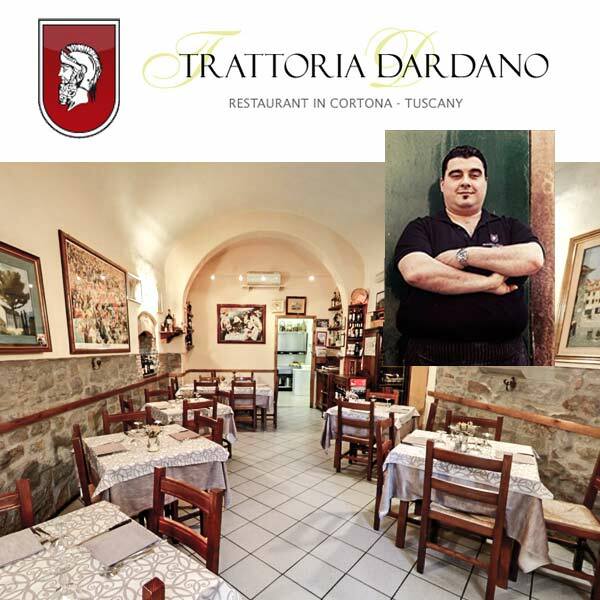 Eat at Trattoria Dardano means appreciating the genuine products of the Cortona area and rediscovering the country Tuscan cuisine, sometimes poor and simple but always succulent and tasty. Dishes simple and tasty with traditional Tuscan recipes; pasta, soups, roasts, genuine meats, baked vegetables and delicious desserts. Recipes Roman and Tuscan ones, up to the dishes created and designed for the occasion. All done by us by hand, from bread to pasta and desserts, no microwave and no refrigerator. We tried to bring on the road that we have always wanted to get during dinner in restaurants, many of them lacking in details and simple and banal attentions but which for us are just the difference. 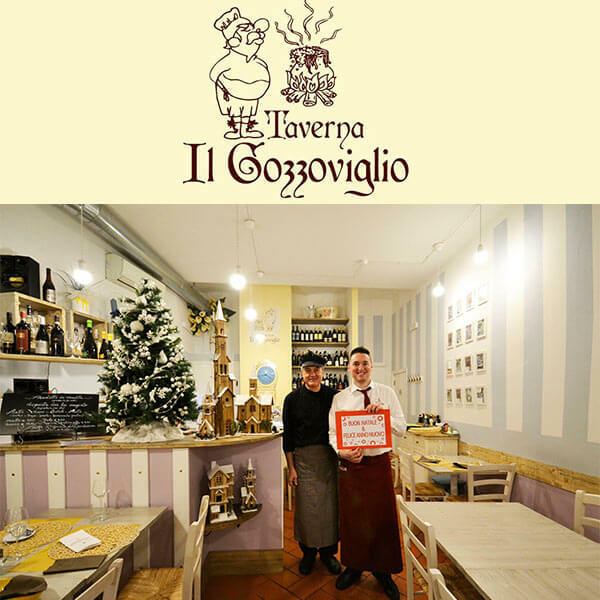 Its friendly service, the variety of its menu, and the ability to dine indoors in an air-conditioned setting, or outdoors in a charming courtyard, which sits in the shadow of an Etruscan fountain. And for travelers who yearn for the exotic, there are treats from South America including wines, a hot antipasti, and the Brazilian tradition of grilling that is Churrasco. 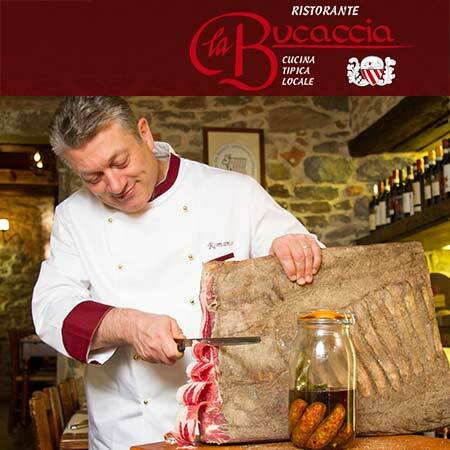 Warm, welcoming, fresh, traditional Tuscan cooking that creates an unforgettable dining experience. 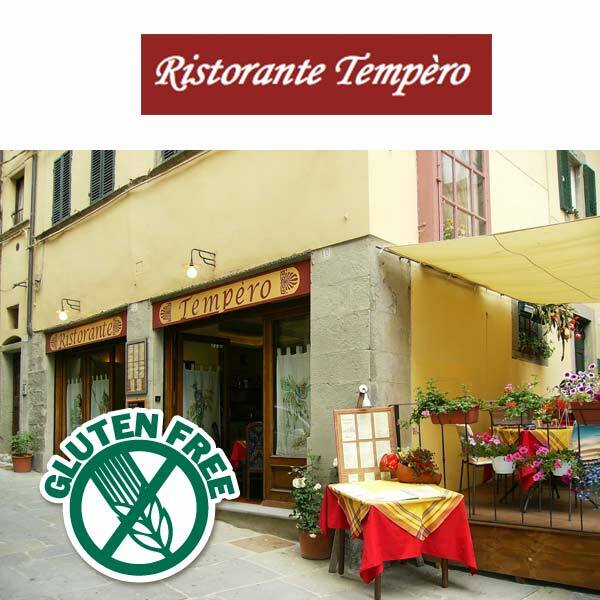 Welcome to Restaurant Tempero. Trattoria Toscana welcomes you with the typical flavors of Tuscan cuisine and fine wines among which the selection of Cortona DOC labels. Specialties: ribollita, porcini ravioli, pici with Tuscan meat sauce, ravioli limone, fiorentina, tripe Tuscan duck breast agrumi. Always remember to claim the dish of the day. Typical old style Tuscan tavern, Mario master chef will delight you with its daily specials dishes. 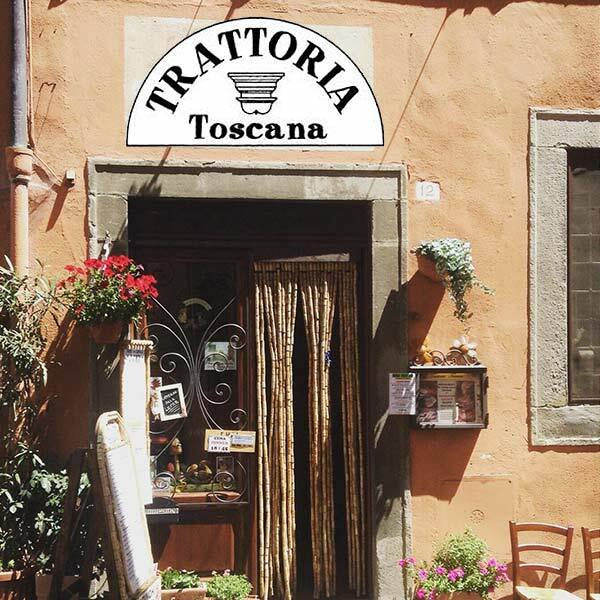 Tuscan dishes in a simple and welcoming environment. Besides local cuisine, you can also choose from a wide variety of pizzas to suit your every desire. 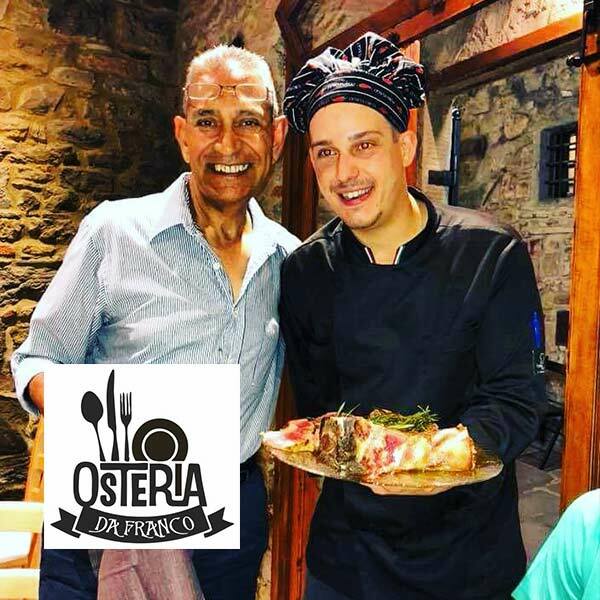 Osteria da Franco is a family run restaurant, a perfect place to have fun with friends and family with great food and excellent service. Our commitment to hospitality is strong, we will welcome you as our guest and promise to treat you always as part of our family. 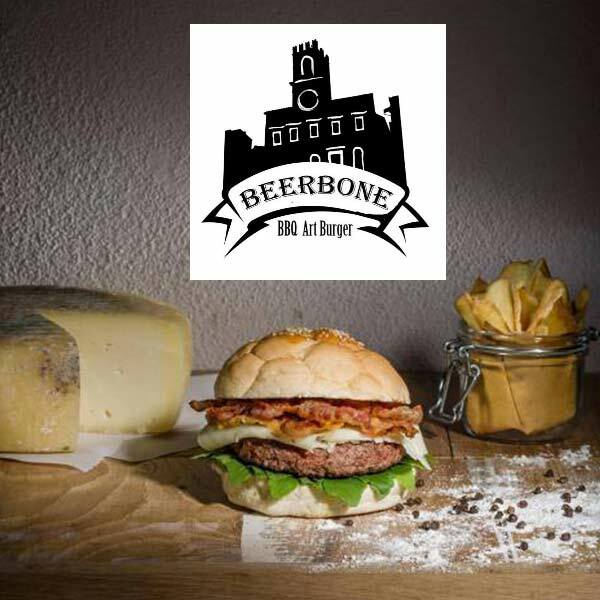 Perfect for a quick meal, large selection of Hamburgers with Chianina beef and pasta dishes. Great selection of beers. Also highly recommended for vegetarians: vegetarian burgers and tuna burgers and vegetable purees. 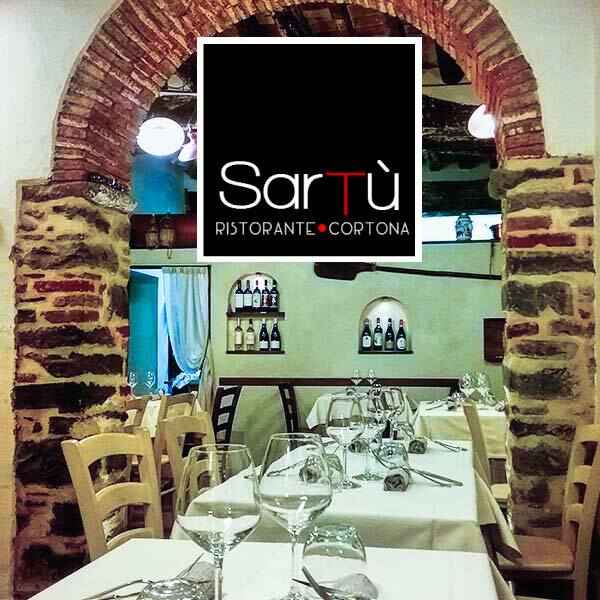 In a romantic frescoed alley of Cortona, there is the SARTÙ restaurant. Dishes prepared with products selected for quality and freshness, cooked with passion, becoming the perfect synthesis of Italian flavors and aromas. Liliana, the Chef, will lead us by the hand in the typicality and goodness of Mediterranean cuisine. A warm and courteous welcome, discreetly accompanies the moments of serenity in a pleasant environment … of other times. Our Restaurant “La Corte Dei Papi” recreates the delicate flavors of genuine Tuscan dishes with a modern twist. 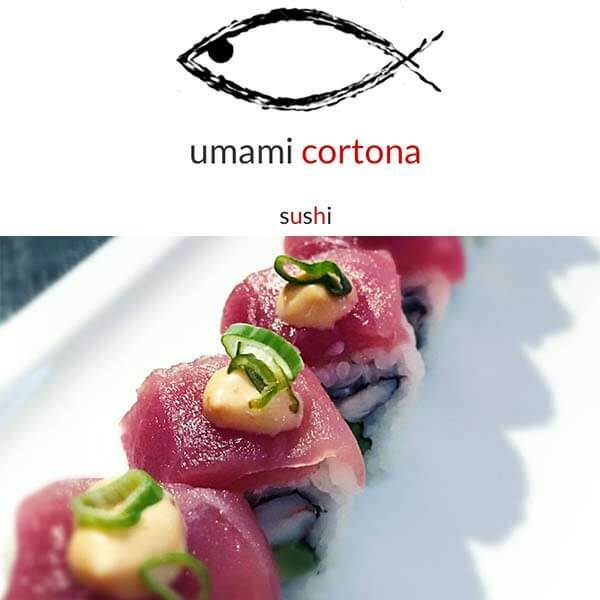 Every ingredient is selected for its quality, freshness and flavor; this creates a memorable experience throughout your meal. Everything is daily freshly produced by our chefs including bread, pasta & desserts. 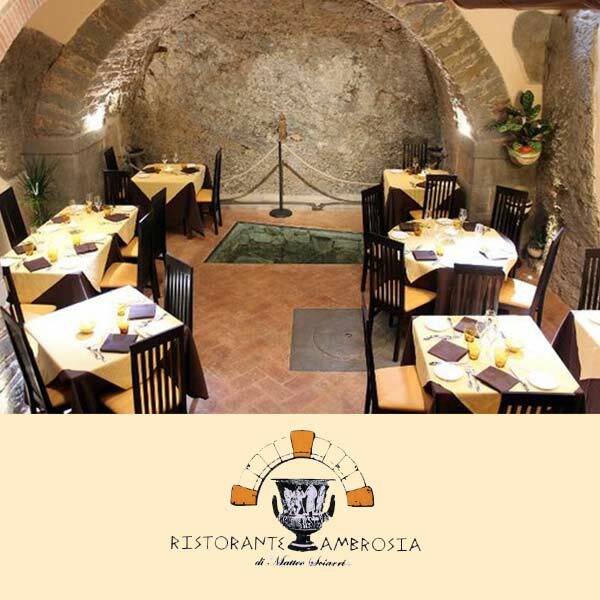 The restaurant is located in what was the old cellar of the residence. A romantic area with characterful stone walls, a timber roof and terracotta floor tiles. In the summer the restaurant relocates close to the swimming pool, situated in the large garden with its many flowers and pine trees. 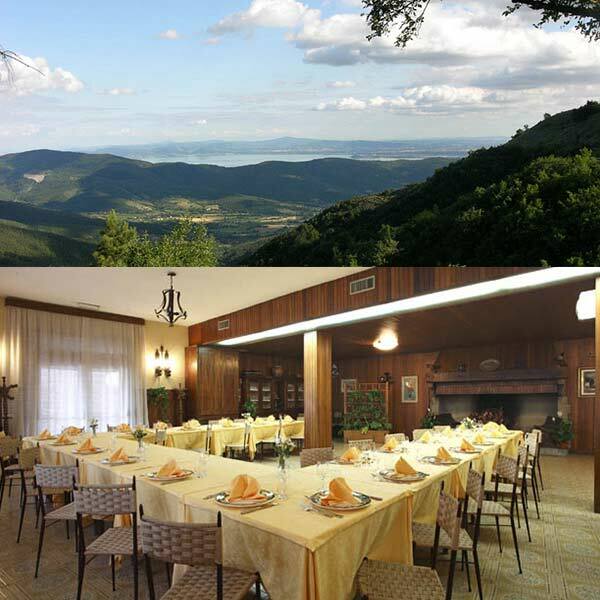 Here you will enjoy the peace and the magical atmosphere of the Tuscan countryside. We handle raw material of top quality, we look for artisan who take care of their land and respect the seasons, we transform the results of their work with simplicity and wisdom. Vegetables, whenever it is possible, come from our garden. Jam, marmalade, sauces and paté, are produced directly by our Chef. 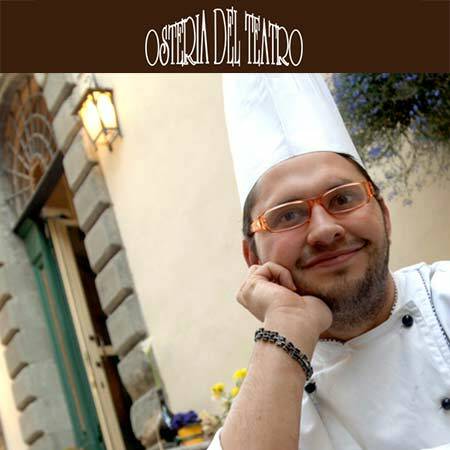 The menu includes, mainly, recipes of the Tuscan tradition, adjusted, only barely, to contemporary style. You may find in it traditional recipes rethought in more modern creative way as far as the form and substance are concerned; it means: TRADITION … IN EVOLUTION. 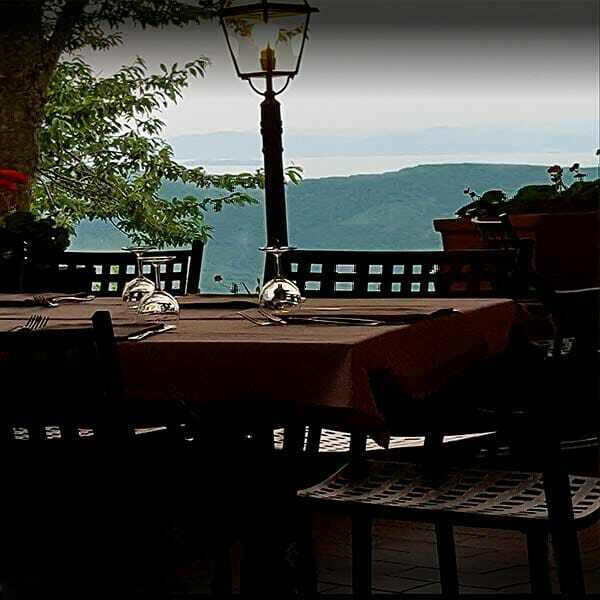 At about 900 meters above sea level there is the Portole restaurant where gourmets can taste a choice of typical Tuscan dishes and game prepared simply and with loving care, accompanied by attentive service and a family atmosphere. On a nice day you can taste our genuine meals on the panoramic terrace, thus adding to the pleasures of the table, the beauty and silence of nature. In autumn, next to the fireplace, you can breathe an atmosphere of times gone by. True to real Tuscan tradition, it is possible to enjoy each other’s company and share, over a glass of good wine, tasty bruschetta [toasted bread seasoned with oil, salt, pepper and garlic], mushrooms and chestnuts.